A heat press is a machine engineered to imprint a design or graphic on a substrate, such as a t-shirt, with the application of heat and pressure for a preset period of time. While heat presses are often used to apply designs to fabrics, specially designed presses can also be used to imprint designs on mugs, plates, jigsaw puzzles, caps, and other products. 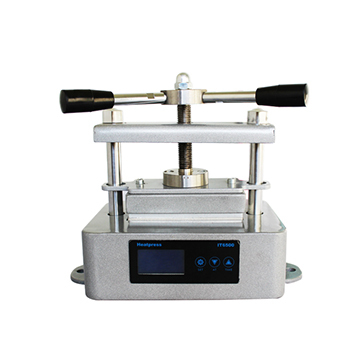 Double heating platen rosin press is workable for printing ,also for rosin oil extraction. -Safety: Food-grade aluminum plates; Stainless steel cover keeps you away from burn injuries. 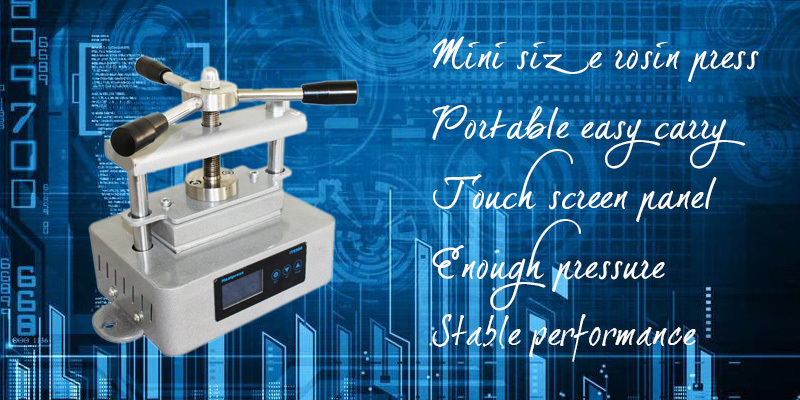 -Easy Operation and Maintenance: Two digital temp & time LCD control set ; Detailed manual/instruction and tools included in package. -Heavy Duty: Machine body made by iron and solid backbone made by stainless steel and iron. -accounting button: after you press down , please press the button to start accounting. Please note that whenever the machine is being operated or not, keep it out of reach of children.